California Adventure rides offer park visitors a chance to experience some Disney fun without actually being at Disneyland. The theme park, which opened in 2001, is located at the Disneyland Resort in Anaheim, California, and offers rides for adults and children alike. As of summer 2009, there were more than two dozen California Adventure rides and attractions, most of which have been open since the park's inception. California Adventure gives you a different kind of Disney experience. You can take a walk on the boardwalk or play a few midway games if you don't want to take a ride. It's fun no matter what you do there! Ranked the number one ride at California Adventure, California Screamin' is a wooden roller coaster built for lightening speed fun. It open in February 2001. In 2008, California Adventure opened Toy Story Midway Mania, a 4-D and interactive ride based on the Disney-Pixar movie, Toy Story. Mr. Potato Head greets at the ride's entrance, enticing you with riddles and chatter. Take a spin on the carousel of sea creatures. This is an original California Adventure ride. This old-fashioned "Buck Rogers" rocket ride opened in 2001. Nothing says Southern California more than swings revolving around a giant orange. The Orange Stinger has been a staple in the park since it opened. Formerly known as Mickey's Fun Wheel, this Ferris wheel has both stationary and moving seats or gondolas. Monsters, Inc. Mike & Sulley to the Rescue! opened in 2006 in the Hollywood Pictures Backlot. The ride takes you through the Disney Pixar movie, Monsters, Inc.
One of the newer rides at California Adventure is Ariel's Undersea Adventure. This mild dark ride is sure to appeal to little princesses and mermaid lovers alike. The scary Ursula only appears in a minimal way, overshadowed by singing and dancing sea creatures. Take a ride in an over-sezed food box in this children's Bug's Life ride. Based in "A Bug's Land" portion of California Adventure, this ride opened in 2002. 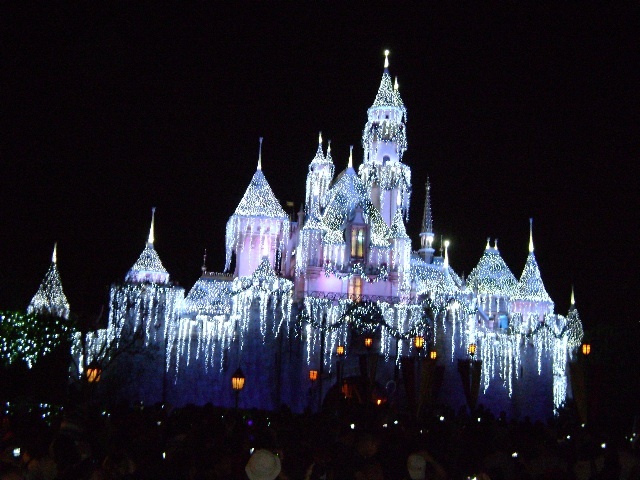 Don't forget to check out Disneyland rides if you also plan to visit this neighboring park!